Looking for the unique coffee experience that will have your taste buds wondering what its experiencing? The Asian market has found a coffee that has you looking at your cat’s litter box. And seeing it in a whole other way. The price tag will also have you wondering what good your kitty can do for you. Kopi Luwak or Civet Coffee is produced in Indonesia, Philippines, islands of Sumatra, and Java. What makes it unique is it is collected from the dung of the Asian Palm Civet Cat. 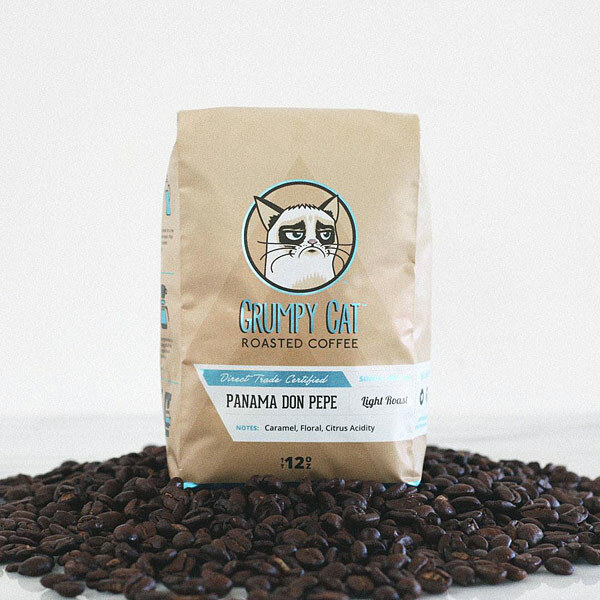 Yes, cat poo coffee served up to you at $50 a cup. Only around 500 lbs hits the market a year at a whopping $1,500 dollars each pound. The Asian Palm Civet is a cat sized nocturnal mammal native to South East Asia and Southern China. It averages about 7 lbs and covered with coarse, shaggy hair. It is grayish in colour with black on its feet, ears and muzzle. It resembles the raccoon in markings and mannerisms. Its primary food source is fruit such as chiku, mango, rambutan and best of all the red cherry of the coffee trees. When the cat eats the coffee cherries the locals gather the dung. The inner bean of the berry is not digested. The beans are then washed, polished, dried and lightly roasted for your cup. “It is wasted as an espresso, you’d have to make it in a plunger cup as the milk would destroy the flavour,” Rob Forsyth, chairman of the Australasian Specialty Coffee Association told Nine News. It is believed that the enzymes in the stomach of the civet add to the coffee’s flavour by breaking down the proteins that give coffee its bitter taste. University of Guelph professor, Massimo Marcone put the beans to the test comparing them to the controlled beans of Columbia. He found the bacterial counts were lower in Kopi Luwak, their colour had more red and yellow tones than the green of the Colombian, surface more smooth and votile compounds were different. The coffee has been described as earthy, musty, syrupy, smooth and rich with jungle and dark chocolate undertones. It has a strong taste and even stronger aroma. “The coffee was musty, it had a fermented taint (and a distinct poo note),” stated Dean Gallagher, master roaster of Western Australia’s 5 Senses, on his webpage. He traveled to Bali to see the hype for himself. “The resulting coffee is gritty. The aroma is smoky and pungent and even somewhat reminiscent of its immediate origin, but the flavour is unique, mild and smooth with a hint of rich dark chocolate and secondary notes of earth and musk,” reports Peter Cave for ABC News. People are still lining up to try the experience. In Australia most people are trying it for the hype, to say that they have tried it. In Asia it is a delicacy that has many cafes buying up all that they can get off the coffee dealers. In America it is the new coffee sensation for the coffee elite and geeks. So much a glorification is given that the Coffee Critic was featured on Oprah Winfrey Show in 2003 to tell about the new coffee fad. Even when China had their SARS virus outbreak that was linked to the Asian Civet Cat and started destroying thousands of the animals, people were still lining up at the cafes. The excuse was that the Indonesian cats were different than the Chinese cats. Vietnam is now marketing a Weasel’ coffee, Philippines have come onto the market with their own Kopi Luwak, and there is also a coffee made from deer dung. What has the human population come to? Posted on May 19, 2016 by Mozelle. This entry was posted in Recipes. Bookmark the permalink.